Being a college student is challenging. You have to deal with a plethora of issues on a daily basis and have to manage your time between dealing with course work, financial issues and internship or job hunting, in addition to maintaining relationships with family and friends. Now, imagine worrying about all of these issues plus your spouse. Being married in college as an undergraduate is not common at all. You could even say that it is counter-cultural, because couples in college are often encouraged by family and friends to wait until after college to get married. An August 2011 CNN article cited research which found that the average national age of marriage is 28 years old and people who marry at age 21 or younger are more susceptible to divorce. According to the U.S. Census, only 7 percent of all college undergraduates are married. Some students who married while in college said they are aware of the challenges that they will face, but feel that the good outweighs the bad. In these scenarios, it is common for one partner to be in college while the other is not. Brown finds it helpful that her husband is not a student too. “It’s great in the sense that he is my biggest supporter and with him not being a student, he picks up the slack at home that I can’t with my many roles,” Brown said. Being married in college has been proven to be beneficial to some couples’ lifestyle. For Kedric Elmore, senior in aeronautical technology, it’s good to have his wife’s support as he is an only child away from home. According to Elmore, sharing responsibilities with his wife made living cheaper for the couple too. 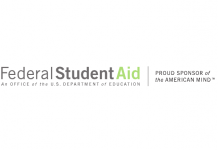 For married couples that depend on the Free Application for Federal Student Aid, being married could possibly grant you the access to more financial aid. This is because these students will be considered an independent couple, who are eligible for more financial aid than dependent couples. Independent couples report their spouse’s income, but not their parent’s income. They are therefore eligible for increased aid through grants and subsidized loans. Also, if you are an out-of-state student but your spouse is from the state that you are attending school at, you can be granted in-state tuition. However, you should not get married just for the sole purpose of being granted in state tuition. Bradford Wilcox, director of the National Marriage Project, said in the same CNN article that research also supports the position that the best age to wed is in the mid- to upper-20s. However, some argue that since they know that they are going to get married, why wait so long? According to the “State of Our Unions” report, educated couples have better chances for a happy marriage. Americans with at least a bachelor’s degree are more likely than those with only a high school diploma to have a stable, high-quality marriage. Charity Parker, a 2013 alumna, said she would have gotten married sooner if it wasn’t against the rules of the Air Force Academy, which stipulates that cadets are not allowed to get married until they graduate. “My husband and I plan to attend graduate school and we don’t believe that marriage will complicate things,” Parker said.